Must fire off these last few reviews before the year in review article. Again, no preamble and please forgive any spelting mistakes. I got a new bluetooth keyboard for Christmas and am dyeing to try it out. Works grate!! I think this is the first bomber release since the departure of head brewer Dean. Might be the second beer because there is the Discovery coffee lager; which is very tasty. Despite the limited release of the coffee lager, kegs still keep showing up. I digress. 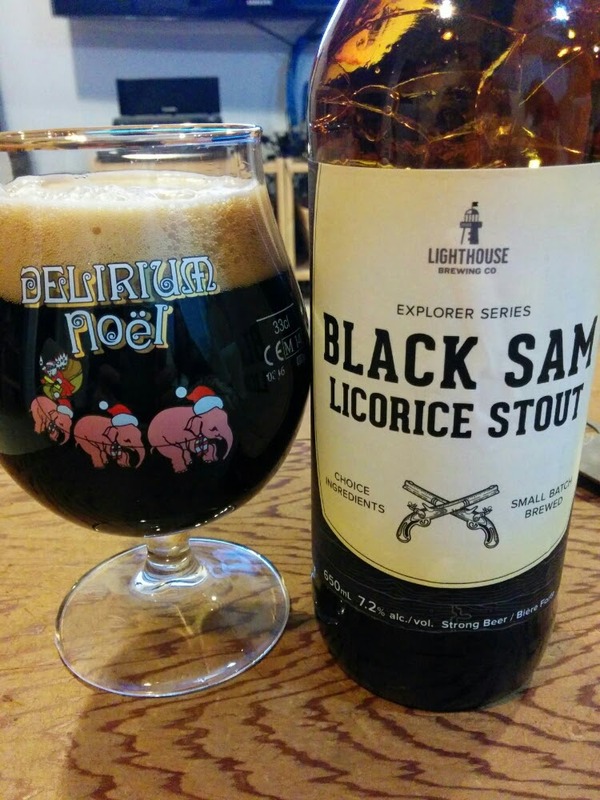 The initial aroma of Black Sam is oddly calm with icy chocolate, slight cocoa and woody. Creamy and not too astringent, this beer delivers the goods. It starts with a licorice sweetness and ends with a roasted dryness. In between is creamy dark chocolate, slight bit of earth with a little woodiness added in. The linger is just the same. Very tasty. Glassware: A snifter would be optional, but a common pint would be fine too. Cellar: Maybe but not likely.